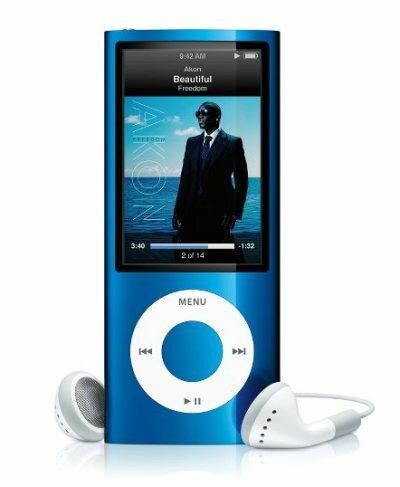 I’ve spent quite a lot of time with the latest 5th generation of the iPod Nano since its release last month, and found it to be a welcome addition to Apple’s holiday line-up with a host of welcome features including what must be Apple’s most leaked update to an iPod with the addition of a video camera. The new Nano is available in two capacities, 8GB and 16GB, priced at £115 and £135 respectively, available in 9 different colours. The first thing you’ll notice about the new model is a bigger screen and a smaller click wheel. The screen is now 2.2” big, with a strange resolution of 240 x 376, compared to the previous resolution of 240 x 320. I’ve never been able to watch a full-length movie on the Nano, and despite the slight increase in screen estate, I still can’t, but it’s great for watching a short TV show, a video podcast or a few music videos very comfortably. I found the aluminium enclosure to be very durable, as the first thing I did (accidentally of course) was to drop the Nano from about 4 feet on to a hard floor with no noticeable damage to the casing or hardware. A feature Apple concentrated on heavily at their September 9th 2009 iPod event was the inclusion of a video camera. We all knew that there was a good chance of a video camera being included in the new model, but was it really worth the “One More Thing…”? Personally, I don’t think so, but it’s surprisingly good quality for such a small device. It isn’t HD, which isn’t at all surprising looking at the size of the camera in the bottom corner of the Nano, but it’s capable of recording decent quality video in VGA (640 x 480) quality. You can record in either portrait or landscape mode by holding the iPod upright or sideways when recording. To start recording when in video mode, you just need to press the centre button once and press it again to stop recording. Also available are iChat-like video effects to record your video with, including a cyborg effect, which probably highlights how Apple intend the video camera to be used – for fun, similar to how you’d sit down with Photo Booth and goof around for hours on end with tons of effects. One major drawback is that you can’t take still photos with the camera, only capture video, which was disappointing to me, but to fit a decent video camera in such a small device is quite an achievement in itself – in fact, it makes you wonder why the new 3rd generation iPod Touch didn’t get one too. A feature that was barely given a mention at the release was the inclusion of an FM Radio, which comes with some neat abilities. To scroll through the frequencies is made simple using the click wheel, and to scan for the next frequency, you can just press the next track button. One aspect I found great was the ability to pause live radio and rewind live radio for up to 15 minutes. A feature that is also included is the ability to “tag” a song that you’re listening to, which you can view and download when you sync your iPod with iTunes, but hardly any radio station I listened to supported the feature. You can also favourite certain stations by pressing and holding the middle button and selecting “Favourite” from the drop-down menu. 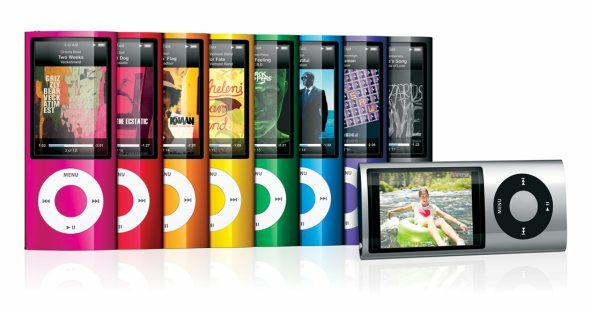 All things considered, the new 5th generation iPod Nano is well worth taking a look at if you want to upgrade your iPod, but I wouldn’t upgrade if I had a 4th generation Nano, as the new features, personally, don’t justify the purchase of another new iPod so soon after the last.